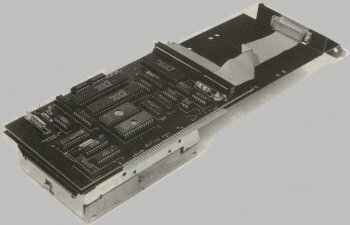 A full length Zorro II SCSI controller. The card does not take advantage of DMA but has an onboard cache, support for SCSI-Net and a "high speed" mode for use with laser printers and scanners. This card is not RDB compatible and therefore requires a custom partitioning tool. The card has onboard NVRAM for storing the SCSI settings.